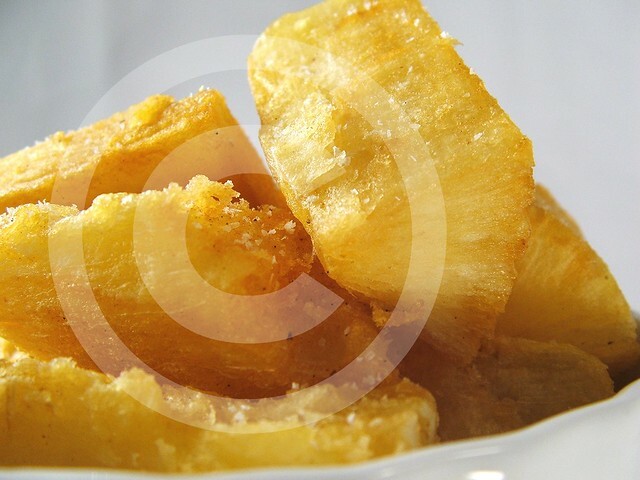 I had posted a pic in December of fried yucas but had not yet gotten around to putting the how to pics up yet. If you enjoy these, stop by in a few weeks when I get my how-2 guides up and running for sale at a publish-on-demand site. I need to reshoot a few pics and then proof the book before I put it up for sale. Place the yucas, all other ingredients and water in a stew pot. Make sure that the water covers the yucas. 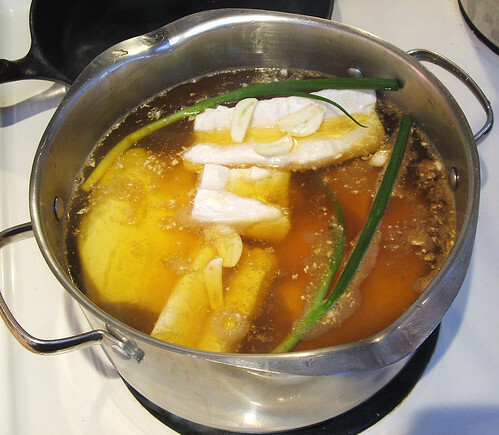 Bring to a boil, lower heat to a simmer and cook until the yucas are tender, about 45 minutes. Drain yucas in a colander. Let cool. Remove the center woody stems in the center of the yucas. Split the yucas lengthwise and then in half. 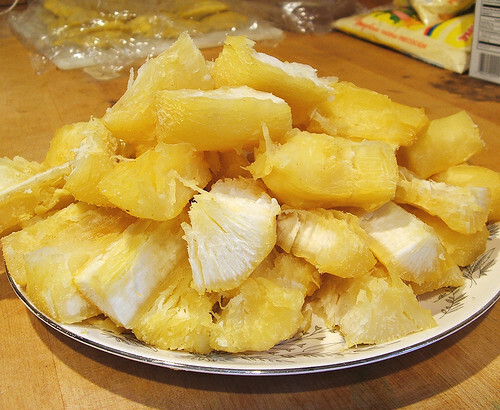 You should have little finger sized pieces of yuca, so you may have to do some more splitting on the bigger pieces. Fry them in hot oil until crisp and drain on a paper towel. Serve immediately. 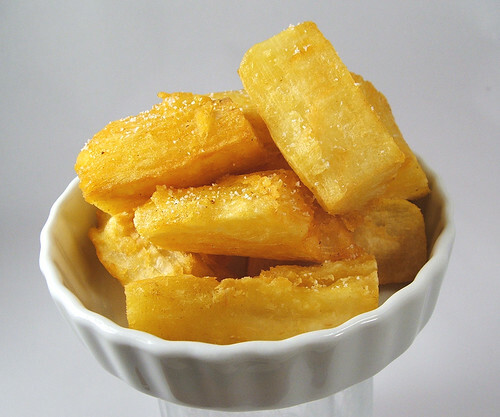 These fried yucas will stay crispy for about an hour or so. A print version of this webpage would rock. I just made this. Yummy. My husband had thinned the “tapioca” trees along the back fence. I saw some of the tubers and asked him where they came from. Looked edible to me. 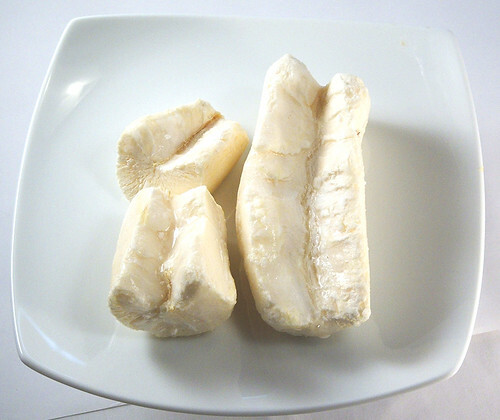 Googled recipes for cassava tubers and found your recipe. Give your Grandma a kiss for me. Muy delicioso. I just added your site to my favorites. I enjoy reading your posts. Thanks!